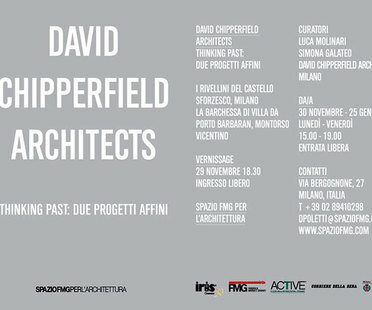 Two recent projects by David Chipperfield will be on display in an exhibition at the IRIS Ceramica and FMG Fabbrica Marmi e Graniti gallery, spaziofmgperl'architettura, in Milan, until 25th November. 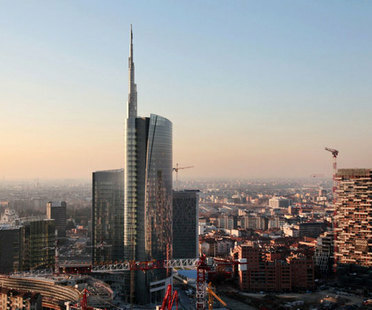 The Golden and Silver Lions awarded at the 13th International Architecture Exhibition, Common Ground, directed by architect David Chipperfield. By invitation of architect, David Chipperfield, director of the 13th International Architecture Exhibition in Venice, MVRDV and The Why Factory will present Freeland as their contribution to the â'Common Groundâ' theme. The 13th International Architecture Exhibition, Common Ground directed by David Chipperfield opens on 29th August, several images of the areas whilst we wait for the opening of the Biennale. 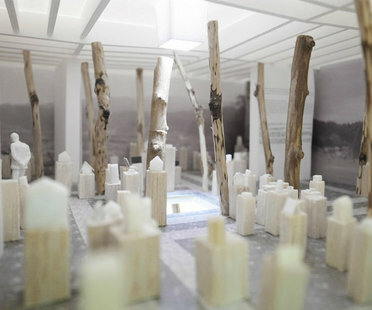 Le Royal Institute of British Architects (RIBA) a annoncé à la fin du mois de juin les lauréats de l’édition 2012 du prix. The exhibition organised by the Mies van der Rohe foundation presents the winning projects of the European Union Prize for Contemporary Architecture.